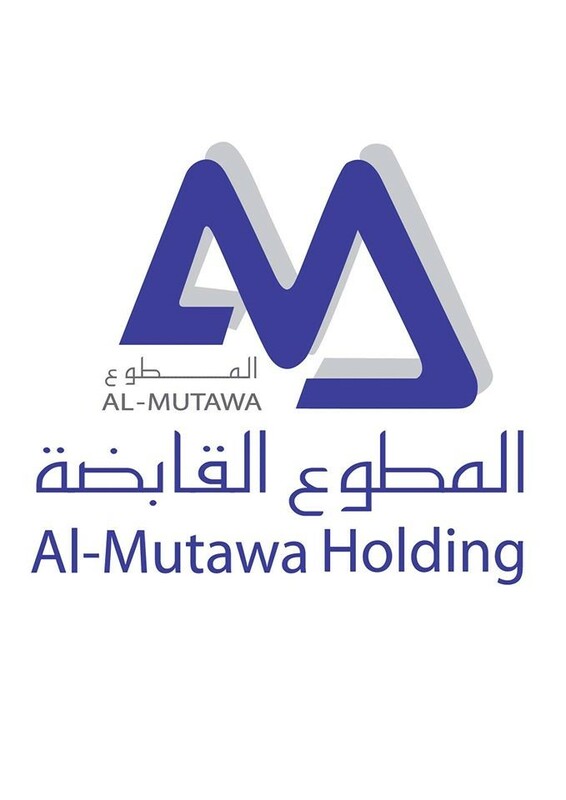 Abdullah H. Al-Mutawa Sons’ Holding Company (AMSHCO) was established since 1948 in Saudi Arabia. AMSHCO is a group of companies specialized in the following: FM, contracting (general services and landscaping), construction, industrial, trading, catering, IT & Data, NDT engineering and services with the main reputable agencies in KSA as well as Gulf Region. AMSCHCO always meet its customers’ expectations and satisfactions. This has been a driving factor to the company for establishing an excellent and sustainable relationship with its valuable customers. AMSHCO Contracting Division is one of the forerunners of the local industry in the Facility Management services. It offers specializes assistance in preventive care and maintenance services. AMSHCO has extensive knowledge and experience in contracting for industrial plants, residential and office compounds plus airport and seaport facilities. Friendly customer relations officers from the AMSHCO facility and management group accommodates customer’s requests and complaints round-the-clock. Facility Management services MEP, general services, concierge and security services. FM sector currently managing many FM contracts with much-esteemed clients in Saudi Arabia including SABIC, ARAMCO as well as KAEC “King Abdullah Economic City”, a very prestigious mixed used community developed by EMAAR in the western region of Saudi Arabia. Al Bonian Facilities Management Services is fast becoming one of the region’s leading FM Solutions provider of choice offering bespoke FM solutions with the added benefit of engineering expertise, which is evident with our FM projects team who deliver MEP solutions with an FM mindset, to plan DLP cover and then a complete FM strategy. The diversification of our services is underway with us currently offering turnkey Hard FM, Soft FM and MEP solutions to the market. Our impressive client portfolio includes prestige’s properties all over Dubai and Sharjah, be it residential, commercial or a development; that we currently deliver our services ensuring efficiencies through the use of new technology and reporting processes. Working towards ISO 44001 with accreditation planned for Jan 2019 in parallel with new and exciting FM Management Systems and live reporting. We will bring to the market a competitive price based on operational expertise and efficiency, holistic knowledge of FM Solutions that is found from the expertise and experience of our team. Our aim is to ensure that the client can focus on their core business, without distractions in their environment, allowing Al Bonian Facilities Management Services to do what they do best. Al Naboodah Facilities Management is a fully integrated Service Solutions Provider, delivering comprehensive services under a single point of contact to the finest properties and most prestigious clients not only in the Middle East, but throughout the world. Al Naboodah Facilities Management is created in a time and place that offered unparalleled opportunities. As an Emirati owned and operated Company, every member of the Al Naboodah Facilities Management team understands the needs across markets and asset categories in Dubai, Northern and Southern Emirates. Our business model translates into any language, any culture, and any market recognizing the need to be competitive across diverse marketplaces. Therefore, Al Naboodah Facilities Management’s capabilities to deliver an outstanding service to our clients and commercially viable. This is what makes Al Naboodah Facilities Management uniquely different and will enable us to grow from strength to strength. We believe the goals of all stakeholders have a common cornerstone – Service. Whether the customer is an Owner, a Resident, a Vendor, a Client or an Employee, focusing on anticipating and meeting their individual needs enables Al Naboodah Facilities Management to live up to the customary standards we are setting up to be the leaders in the Service industry. Al Shirawi’s progression in becoming a fully-fledged Facilities Management service provider has been achieved over 35 years of strategic planning and development. Starting off in 1974 as a mechanical contractor, Al Shirawi gained the expertise to install and maintain the most complicated mechanical systems throughout the Middle East. In the subsequent decades, Al Shirawi, through joint ventures, acquisitions and entrepreneurship, entered into maintaining electrical systems, servicing heavy tonnage chillers, undertaking in-house general & specialised cleaning and security services. Leveraging of the Al Shirawi Group’s diverse technical expertise and commitment to service quality, we serve mixed use, commercial, residential, hospitality, healthcare, education, infrastructure and retail projects through a 300+ strong contracts portfolio. With the necessary in-house infrastructure and resources to offer world-class service Al Shirawi FM has been growing strongly in expertise and selected specialisms that better suit our customers’ expectations. Recent JV’s include Smart systems experts that will see us through the next generation of FM service delivery for the years to come. We have a strong focus on customer service excellence and achieve that through extensive customer facing, people management and technical skills development of our team throughout the employee ranks. AWTAD Facilities Management L.L.C is fast becoming one of the region’s leading Integrated Facilities Management (IFM) services providers. AWTAD FM is a trusted brand that has operated in the UAE market since 2005 and established a solid base of clients during our journey. We offer a wide range of inclusive Facility Management provisions and solutions to a vast array of clients, from property developers, asset manager, residential, commercial or a mixed-use development. Our renowned services incorporate a variety of technical disciplines, such as comprehensive MEP Services, Integrated Facilities Management, specialized “Hard FM” and “Soft FM” provisions, FM Consultancy and FM Support Services. 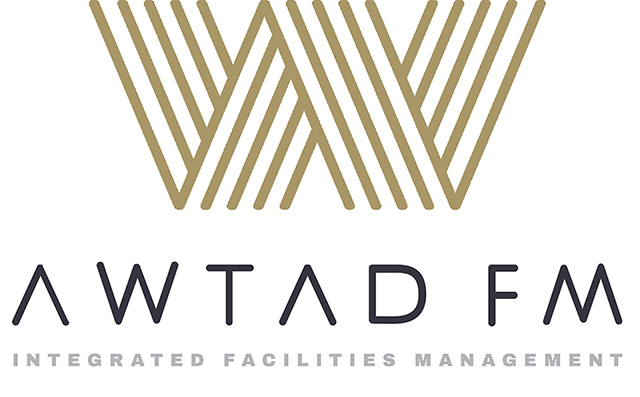 What makes AWTAD Facilities Management stand out from other service providers is that AWTAD FM offers the full range of services to different clients for their residential, commercial or mixed-use buildings, using the latest available technology to ensure transparency and cost efficiency. All our services are delivered according to bespoke individual needs, regardless of whether our client requires a single service or a fully integrated package. Founded in 1977, Bahwan Engineering Group is a member of the Suhail Bahwan Group, one of Oman's foremost business houses. The Group has emerged as one of the largest engineering construction & trading groups in Oman. BEC which is the flagship company of the group is one of the largest engineering construction company executing integrated multi-disciplinary construction projects, Facilities Management and Maintenance projects in Oman and UAE. 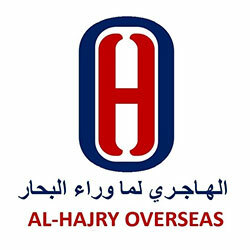 The company has an excellent HSE record as one of the safe contractors in Oman. BEC group employs over 13,000 people and has established itself as a leader in integrated construction projects. The group has been operating in UAE since 1995 and has executed Power projects, Greenfield DEWA Substations and M&E projects. The FMM Division of BEC ensures multi-disciplinary functionality of the built environment by integrating people, place, process and technology. The FMM Division manages and maintains physical assets in Industrial, Commercial establishments, Hospitals, Sports complexes, Hotels, University and Residential complexes. As a part of integrating core and diverse FM activities, it provides Hard services with its in-house skilled manpower, which is its strength and also Soft services. BEC FMM was awarded the best FM Service Provider of the year in 2007. Berkeley Services Group is a leading multi-property services provider with around 5,000 employees in the UAE. We provide cleaning, security, maintenance, laundry and landscaping services for commercial and residential properties. Our clients include various hotels, malls, banks, office and residential buildings. We also provide niche services to te retail and aviation industries. Some of our esteemed clients include Emirates Airlines, Wafi City, Etihad Airways and the Atlantis Hotel. The Berkeley Services Group was established in the UAE in 1983. 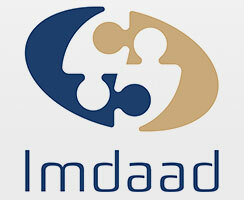 It was acquired in 2007 by Klueh Group, a leading service management company, based in Germany. This take over has led to a dynamic synergy of local knowledge with international expertise. We have offices in Dubai, Abu Dhabi, Sharjah & Ras Al Khaimah. Concordia is an output driven, customer focused, Integrated Facilities Management Company with a proven track record of adding serious value to its customers’ business ecosystems. For over a decade, Concordia has been providing world class high quality integrated facility management services to 20+ million square feet of commercial and residential properties. Concordia also manages one of the largest pieces of privately owned interconnected infrastructure around the world. Its service delivery processes are built around accredited International Standard frameworks of ISO and BICSc. This enables its dedicated 1,400+ strong team to consistently deliver high quality, value added services to our diverse range of customers. What sets Concordia apart is its investment in people, advanced technical capability, training standards and dedicated support through its unique CAFM and first class customer service infrastructure. Concordia services touch the lives of over 150,000 people every single day, 365 days a year. Coreserv was established in Dubai-UAE to provide the highest standards of property management services for Commercial and Residential developments. Coreserv manages the developers and property owner’s operational facilities in a professional manner after the handing over of the building by the contractor. At Coreserv, client service and customer satisfaction are paramount; this is reflected in our multi lingual staff, who have been trained professionally to deliver the best first class service. In particular, Coreserv scrutinizes costs, maintains the facilities and ensures a competent individual in on call 24/7, who can fully understand the query and react to the end user’s needs. In 1962, D G Jones started out with a vision to provide the world with a service that would give our clients cost effective solutions to their construction needs. This construction project consultancy would be built upon professional staff working out of local offices that would integrate their collective knowledge and make an unequaled and market leading international company. From our cost consultancy roots in 1962, D G Jones & Partners has diversified into a range of bespoke services namely project management, facilities management, solid waste management, value engineering, contract administration, claims management tailored in response to our clients' needs and all calling on our expertise in reliably delivering services to our clients within cost and time. The company is a leading provider of integrated facilities management solutions for real estate, commercial and retail developments in the UAE. Successfully managing a vast portfolio of around 1000 properties inclusive of 20,000 units across the UAE, DFM provides integrated FM solutions that are cost-effective, sustainable and aligned to international best practices in health, safety and environment. Deyaar Facilities Management provides a one-stop-shop business model, catering to all the various requirements of property owners. Backed by experienced professionals and dedicated personnel, the organization uses state-of-the-art technology to offer integrated FM solutions that are cost-effective, sustainable and aligned to international best practices in health, safety and environment. Deyaar Facilities Management combines best-in-class IT technology and collaboration that enables it to meet the dynamic demands associated with asset intensive industries such as utility companies, oil and gas installations, call centers, education campuses and hospitals. Deyaar Facilities Management is 100% owned by Deyaar Development PJSC. For over 45 years, our partner-managed company has been supporting public and private sector principals and investors with all aspects of real estate in 43 offices worldwide. Drees & Sommer provides project management, consulting and engineering services in various aspects of building design and construction. It serves real estate and facility management, finance, retail, tourism, life science, healthcare, automotive, manufacturing, aviation, mobility, transport and logistics, energy, utility and disposal, and public sectors. Within our facility management consultancy scope, our team at Drees & Sommer Gulf focuses on the efficient and effective delivery of support value for organizations and tailormade operational FM concepts for assets. Our services ensure the integration of people, system, place, process and technology as part of individual client strategies such as digitization and revitalization. Duserve is a fully owned subsidiary of Dubai Aviation City Corporation (DACC), a decreed corporation of Dubai Government. 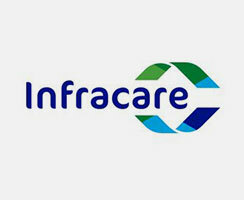 Established in 2008, it has grown to become a leading “one-stop-shop” Integrated Facilities Management service provider, catering to needs of customers across the sectors. Our smart operational model supported by the most advanced technological framework solutions, backed by a highly charged customer-centric workforce allows us to lead the way in the smart revolution, and that with a human face. Our sustainability capability, breadth of in-house services in FM, construction and consulting, our technically capable and motivated workforce propel us amongst the elite of the facilities management industry service providers in the UAE. True to our Vision, we aim to become the service provider of choice, delivering Memorable service, engaging the heart and soul of customers and employees alike. Ecovert FM Kuwait (EFMK) was primarily established in 2008 with the main purpose of delivering an international standard of integrated and advisory facilities management services as well as specialized engineering services across Kuwait, Gulf and Middle East Region. Shuwaikh Industrial area, Street 26, Plot 66, Kuwait. Facilities 3D Laser Scanning As-Built. BOT / PPP Projects Management. Program, Project and Construction Management. Facilities operation, Maintenance & Inspection. Engineering Consultancy & BIM Design. Property Planning and Real Estate Development. Financial, Economic Studies, and Feasibility Studies. Smart Systems, AV Solutions Projects Services. Facilities Management Company (FMCO) is a multidisciplinary company that deals with the coordination of works between buildings, individuals, infrastructure, energy, water and drainage services in order to harmonize interrelated services and extend the life span of the relevant assets and services with the highest standards and international quality at the lowest cost, one of the most important facilities management services is maintenance of commercial and public buildings such as hotels, resorts, schools, office complexes, sports squares, conference centers, hospitals and airports. They can include HVAC, power, plumbing, lighting, hygiene, decoration, floor care, security and safety, and some or all of these tasks may be assisted by computer software. Also, we at FMCO recruited the highly qualified human resources for all administrative, commercial and industrial facilities. Farnek is the leading provider of sustainable and technology driven Total Facilities Management in the United Arab Emirates. Established in the UAE since 1980 and with a skilled workforce of 5,000+, Farnek Services LLC has a demonstrable track record in the delivery of professional Facilities Management services across several sectors including: Aviation, Hospitality, Banking, Retail, Telecom, Residential, Commercial, Infrastructure, Government, Leisure and Entertainment. A subsidiary of the international facilities, property, and maintenance management software provider FSI (FM Solutions) - we are focused on providing technology solutions to property managers, building owners, building occupiers, in-house FM teams, and facilities service and maintenance organisations. Our Dubai based professional services team provides consultancy, implementation, training and support to clients across the MENA region. Concept Evolution™ is a web-enabled, complete CAFM (Computer Aided Facilities Management) solution - that includes comprehensive CMMS functionality – and is the next generation of FSI’s well established Concept™ 500 range. The system merges powerful functionality with sophisticated technology to extend control of facilities management operations and activities, including assets, personnel, resources and tasks, across borders and helps optimize process efficiency, accuracy and productivity throughout the FM delivery lifecycle. The operational benefits of FSI’s management platforms are realized across many industry sectors – our clients include real estate developers, asset management companies, hotels, resorts, airports, hospitals, oil & gas companies, insurance companies, manufacturers, banks, governmental bodies and facility management service providers. GECO Facilities Management is an operating division of GECO Mechanical & Electrical Ltd and is a part of the locally owned “ALBATHA Group”. 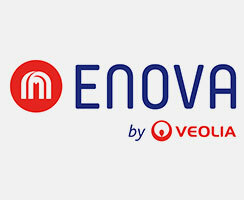 Our other divisions include MEP, Power (HV & LV) and Fire Protection. GECO Facilities Management has over 45 years’ experience in the market place and operates out of offices in Sharjah, Dubai and Abu Dhabi providing services all over the UAE. We work in Strategic partnership with our clients providing a full range of services covering Hard FM, Soft FM (managed), lifecycle planning, Project delivery services and 24x7 call center / helpdesk services. Our mission is to protect client assets, “to improve the quality of life of our people, customers and society” and as such we provide low carbon solutions and flexible service which can support changes to our client’s buildings and facilities using our experience, skills and impeccable technical support to provide fully integrated solutions tailored to client’s needs and centered on a dedicated management delivery team. Whether client facing or back of house, we can offer a range of performance models to fit with your business needs. Combined with a focus on integrating energy management services and sustainable FM, we help our customers to combine improved operational efficiency with the latest technologies to deliver significant savings. The Name Hausman is inspired by the famous Baron Georges-Eugène Haussmann, Paris’ visionary prefect in the 19th century. Commissioned by Emperor Napoleon III to carry out a massive urban renewal of the city, Haussmann led a groundbreaking approach to city planning that integrated people, infrastructure and everyday life. The public works program, commonly called “Haussmann’s renovation of Paris”, still has an long-lasting impact on the city’s functionality and efficiency to this day. As a member of the prominent MAN Group, HAUSMAN benefits from the quality standards of a whole network specialized in construction and engineering on a global scale. This also means that we apply all our activities within a Quality Management System (QMS) framework fully compliant with ISO 9001 requirements. - MAN Enterprise, an international leader in the construction industry. - Metrix, among the largest electro-mechanical contractors in the Middle East and Africa. • Challenge: Turning challenges into opportunities for achievement. • Collaboration: Teamwork is the best foundation for success. • Competence: Valuing and developing each and everyone’s skills. • Creativity: Is a weapon of mass construction. • Credibility: Is the first chapter in the book of wisdom. • Commitment: Is the base of any endeavor. HAUSMAN provides a range of integrated or individual services to keep its clients’ premises running smoothly and efficiently, while prioritizing health and safety to the facility occupants: tenants, customers, staff or workers. Whether it is for a private or commercial property, a warehouse, a labor camp for construction workers or other, our team combines industry knowledge and technical expertise with a deep understanding of information technology, to keep business interruptions in check, in a cost-effective way. Infor is an enterprise software provider and strategic technology partner for more than 90,000 organizations worldwide. Our software is purpose-built for specific industries, providing complete suites that are designed to support progress—for individuals, for businesses, and across networks. • Enterprise Asset Management—Keep your plant, equipment, and facilities available, reliable, and safe. And drive your asset management plans, decisions, and actions to reduce energy use. • Enterprise Performance Management—See your data clearly, shape it, control it, and share it so you can make better decisions, faster. • Customer Relationship Management—Combine marketing, sales, and service to create a 360º view of your customers. • Financial Management—an integrated financial resource management solution designed to address financial accounting and budgeting, asset management, costing, and payroll requirements. • Human Capital Management—Finish payroll on time, every time, with no mistakes. And improve employee satisfaction and raise your company's performance at the same time. • Infor ION—Connect, organize, analyze, and collaborate-on-premise, in the cloud, or both-faster and easier than ever before. INITIAL Saudi Arabia Ltd. is a group of multinational and local service organizations offering the strengths and experience of a multinational entity whilst retaining the agility and characteristics of a local company. It enabled the implementation of a business model that allows us to offer a more personalized touch in our services. In addition to the core offerings, we are strongly committed to continue in diversifying our portfolio of services to cater in evolving future requirements. We have selected a dedicated team of qualified and experienced FM service specialists, further reinforcing our reputation as a quality-driven and result-oriented integrated Facilities Management Services Company. As a diversified service group we cover all essential building service requirements including facilities management, pest control, landscaping, security, general maintenance, cleaning, and staff outsourcing. We are driven in pursuing our duty to provide “Quality services you can depend on”. 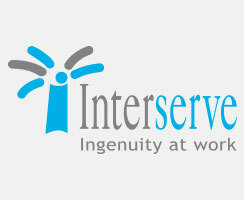 Interserve is a major provider of Facilities Management and Support Services in the UK and around the world. We have successfully exported this expertise and service to the Middle East and Khansaheb Facilities Management has become a market leader within the UAE. We provide a wide range of FM services using specialist software and expertise to deliver a preventative maintenance regime second to none in the UAE. Individually configured to meet the specific requirements of every client, our unique delivery model ensures performance improvements within a framework that provides consistent value for money. Macro is a modern-thinking Facilities Management company providing Integrated Facilities Management, Asset Management, Managed Services, FM consultancy, CAFM/Helpdesk, Technical Services and Owner Association Management. In the Middle East, the company has clients in the UAE, Qatar, Saudi Arabia, Bahrain, Oman, Kuwait and Jordan. Employing over 300 staff from all over the world, this multicultural company takes pride in working with both small and large-scale properties and developments, offering a flexible approach by tailor-making solutions. Macro also provides FM strategy development, design reviews, FM procurement, life cycle costing, service charge modeling and QHSE management support. Macro has won the FM Consultancy of the Year Award in the Middle East seven times and has been highly commended as Overall FM Company together with the technical services capability, Macro Technical Services. Macro is part of the international consultancy and construction group Mace. The company holds the following certifications: ISO 9001, OHSAS 18001 and ISO 14001. Manlift is leading supplier of Aerial Work Platforms in the UAE, Qatar and India. Services offered include rental and sales of access platforms, power solutions as well as OEM spare parts and IPAF & PASMA training. With our certified IPAF training center we are able to provide you tailored training courses, and also at your project. All our technicians are manufacturer trained and ensure you experience highest level of safety, productivity and efficiency on all applications. Alternative offices: Dubai, Abu Dhabi, Doha, New Delhi. Mayar Facilities Management was built on the belief of providing real world seamless solutions, not just services. Supporting the most critical and complex projects such as workers’ residential cities. The company provides exceptional services in the fields of leasing management, procurement, customer care, cleaning, catering, maintenance, and others. These outstanding services ensure client expectations are met as well as residents are exceptionally satisfied. Our services are tailored to be customer-centric and aim on providing services customized as per our client’s requirements. 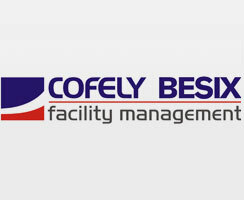 By taking the burden of facilities management from our client, we enable them to pursue their goals with peace of mind. Mayar is specialized in building sustainable communities for the people who work hard in building infrastructures and maintaining them. Our portfolio includes various staff accommodation communities as well as commercial and residential compounds. Mussafah, 12th street, Abu Dhabi, United Arab Emirates. Established in 1975 with values of Shapoorji Pallonji group, as OSCO we provide Civil Construction, Infrastructure, MEPI and IFM Services. Under IFM Division we are now serving over 20 properties of national importance and 650+ other properties as Integrated Facilities Management service provider, with over 3600 people employed under the FM Division alone. OSCO has over 40 years of consistent performance and impeccable service delivery, Oman Shapoorji Company has become one for the most trusted and reliable partners for many of the clients for Integrated Facilities Management services. OSCO manages over 170 Million Square Feet of property under its asset management belt. OSCO provides Technical Services, Housekeeping, Security, Pest Control, Landscaping & Audit/ Inspections as core services under Facility/ Asset Management. The company was established in the year 2015, located in Sheikh Zayed Road, Dubai, dedicated in offering quality services to Facilities Management Industry. Orion Venture provides well engineered flexible solutions augmented through their knowledgeable application expertise and responsive support team. Orion Venture house well-experienced market leaders from Facilities Management, Maintenance and Project industry along with trained, skilled work force. Orion Venture render services to the Residential, Retail, Commercial and Hospitality industry including small and high-rise buildings, provide customized /tailor-made solutions to client’s requirements. Orion Venture provides Repair and Maintenance services in the Mechanical, Electrical, Plumbing and Civil disciplines, undertake major / minor refurbishment projects and fit-out works in an existing facility. On soft services front, Company provides a thorough deep cleaning service before occupancy in new buildings, End of Lease and Start of Lease cleaning services during change in tenancy of premises. Apart from this, Company provide regular cleaning solutions for all segments of the building fabric. Orion Venture assure prompt delivery of quality material to meet their service delivery commitments. This Company look forward to establish a long-lasting and mutually beneficial association with esteemed organization, and become preferred service partner. Plafond Facilities Management focusses on providing integrated facilities services, customized maintenance and small works packages to the Residential, Hospitality and Commercial markets in the UAE. Some of our current Clients are Haus & Haus, Emirates-DNATA Group, Transguard, Tanmiyat, Lufthansa and Double Tree by Hilton. The FM Division of Plafond Fit Out LLC (which is now part of the wider Emirates-DNATA Group) was established in late 2015. Being an integral part of one of the region’s most prestigious Fit Out and MEP companies provides us with more flexibility and adaptability than the majority of companies operating in the wider UAE FM market. It also gives us, our demand organisations and ultimately those End Clients, access to an enhanced level of civil, mechanical, plumbing and electrical systems knowledge, resources and products. With more than 500 companies in 16 countries as clients and a highly-qualified team of professionals and engineers with PMP® certifications, under the best practices of the Project Management Institute (PMI) and PRINCE2 methodologies, to manage, design, build and implement high added value projects to our customers, ROSMIMAN SOFTWARE CORPORATION has all the talents, skills, experiences and resources which have shaped what we are: market presence with brand integrity, continued trust and loyalty of our clients and reliable, and committed services for more than 10,000 direct users from 30 different sectors using ROSMIMAN® solutions every day in their companies. ROSMIMAN SOFTWARE CORPORATION provides its clients a great portfolio of services and cloud solutions, in addition to ROSMIMAN® vertical solutions (Industry 4.0, Infrastructure, IWMS Global Site, Government & Smart Cities, Public Health, Environment, Traffic & Transport, etc.). 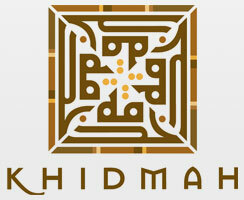 ROSMIMAN SOFTWARE CORPORATION has strengthen its cloud services in the region thanks to its Data Center located in Abu Dhabi and due to its partnership agreement with DIGITAL OKTA for CLOUD and DIGITAL COMPUTING SYSTEMS (formerly known as ITQAN GLOBAL), a next-generation and digital transformation enabler local company that provides cloud solutions, subsidiary of Emirates Advanced Investments Group (EAIG Group), a business group with over 20 successful companies established since 2006 in the UAE, more than 5,000 employees and one of the fastest growing UAE businesses in the past years. SANED is a first of its kind joint venture between Sharjah Asset Management Holding (SAM), the investment arm of the Government of Sharjah, and Apleona HSG (formerly Bilfinger HSG International Facilty Management), a global facilities management service provider delivering world class services in the UAE. SANED was established in 2016 and soon gained a significant market share in the Emirate of Sharjah by delivering Total Facilities Management, predominately through in-house teams providing MEP, cleaning, security and modification services. MUMTALAKAT has established as joint venture in Saudi Arabia at 2017. To become the leader in high-quality Facility Mangement service, Korean FM contractor(“POSCO O&M”) and Saudi real estate company(“AL AKARIA) agreed partnership and invested their asset and know-how to MUMTALAKAT. MUMTALAKAT will provide Total Facility Management Service to office building, residential and mixed-use building in Saudi Arabia. MUMTALAKAT’s building management is grounded on providing a tailored set of services for the owner and the users of the building, which will maximize our corporate clients’ management efficiency. Main Contact: Edward Lee/Director of Planning & Support Dept. ServeU is proud to be the leading provider of Integrated Facilities Management Services across all organizations and communities in the UAE. With over 30 years experience and 5000+ highly quality staff, we provide every combination of property up keep. Our areas of expertise include MEP maintenance, cleaning, security, landscaping and more. Whether your organization operates in one location or nationwide, our network of regional offices will deliver consistently exceptional solutions across your premises portfolio. ServeU’s reputation has been built on service excellence, reliability and a customer-focused human approach. Shaped and led by our experienced management team. We are also extremely adaptable and swift to mobilize – our unique selling point for many of our customers. Increasingly, we’re also at the leading edge of new solutions and technologies in facilities management, pioneering environmental and sustainable approaches that have a positive impact on the greater society we are part of. Al Quoz 2, street 27. Spider Access along with its sister company Vertico Xtreme are gulf based rope access multi-purpose contracting entities; offering a wide range of access-related services, installations, products, consultancy & training to Contractors, Facility Operators and Building Owners. Tadbeir Integrated Facilities Management Co., based in Al Khobar Saudi Arabia, was established by Retal Urban Development Company to address demands of developers, owners and investors of various commercial, residential and industrial projects in the region. Integrating a company dedicated to facilities management and property management is a strategic measure to provide the highest standards of comfort and convenience for occupants while delivering the highest levels of cost-control and efficient service to owners. Offering combined facilities and property management solutions is a strategic role that Tadbeir takes to ensure delivering efficient and effective solutions to its clients. Established on this strategy Tadbeir was able to build a credible track record of managing prestigious and complex projects across all the regions of Saudi Arabia. The commitment to this strategic proposition allowed Tadbeir to grow its client base and expand to have a diversified portfolio kingdom wide. Prince Turki Bin Abdul-Aziz St.
Talisen International promotes and develops business opportunities for Talisen Technology Inc’s software products and services. Talisen’s software platform empowers organizations to achieve sustainability and cost reduction goals through strategic enterprise –wide solutions. Talisen focuses on providing a state-of-the-art, integrated platform for property owners to monitor, analyze and manage their portfolio’s energy, operations and maintenance cost. Talisen utilizes its vast experience in the field of energy and facilities management to deploy its Enterprise Sustainability Platform in a central operations monitoring command and control center to help large property owners to effectively monitor and manage their assets and promote sustainable initiatives. 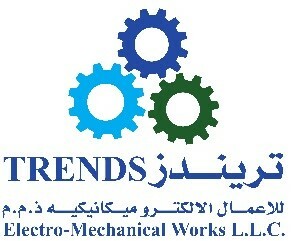 Technical & Trading (TTE) is well-known in the field of air conditioning, refrigeration and equipment supplies. 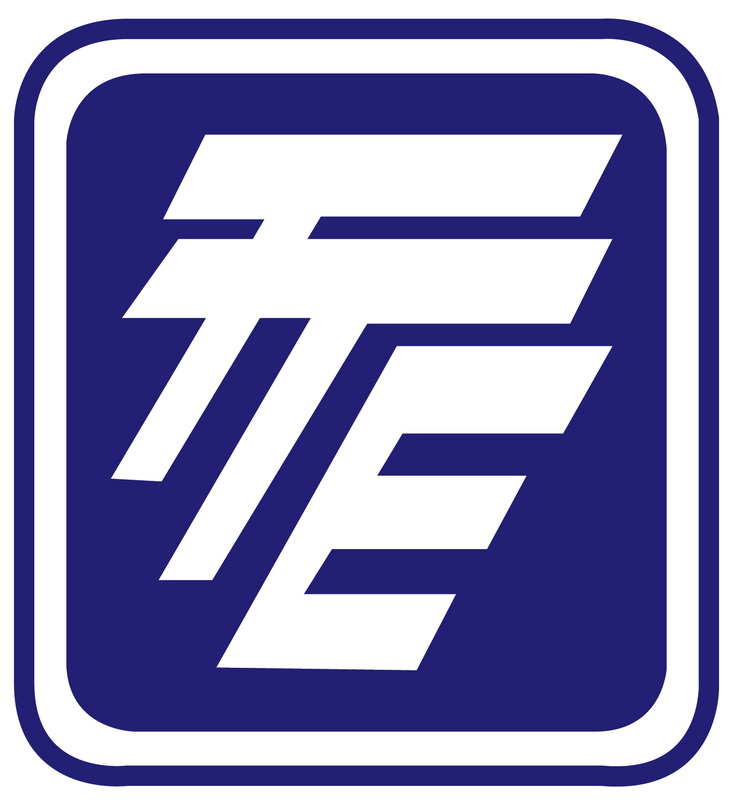 Established in 1951, TTE is one of the 28 companies of the Easa Saleh Al Gurg Group and has complete infrastructure for executing Design & Built Electromechanical (MEP) Projects to exacting standards, a Facility Management Division and a Trading Division. Over the past two decades, Technical & Trading (TTE) has built a reputation as a reliable MEP contractor and is actively engaged in executing Design & Built MEP projects. Our engineers have the skill to conceptualize, design and execute projects for HVAC, Plumbing, Electrical (LV & ELV), Fire Fighting, Fire Alarm, BMS and other related services. With a team of more than 120 Engineers, Draftsmen, Supervisors and Technicians in the projects division alone, TTE has the technical competence to execute projects of the highest quality and within the desired time frame. With an in house maintenance department, staffing a further 180 technical staff, TTE can undertake facility management of these projects once completed and handed over by projects team, with a high level of expertise. 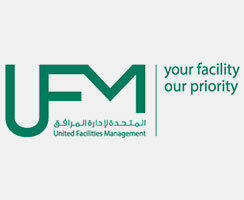 The Arab Contractors for Facility Management Co. (S.A.E. )” founded in 1994 as a subsidiary of “The Arab Contractors - Othman Ahmed Othman & Co.” the leading construction & contracting company in the Middle East and Africa since 1955. 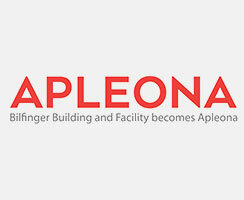 The Arab Contractors for Facility Management (S.A.E.) is considered one of the leading companies in Egypt providing innovative Facility Management solutions through applying the latest Facility Management technologies, targeting to achieve the sustainable development that encompasses multiple disciplines to ensure functionality of assets, process and technology. As a part of our strategic plan we continue to move forward in expanding our business in the region to capture new promising selective potential opportunities in Egypt, Africa and the Middle East with our attention focused on delivering state-of-the-art Facility Management technologies.